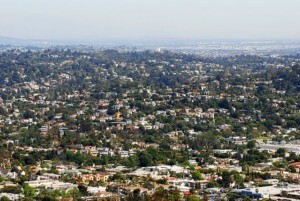 Silver Lake is a residential and commercial neighborhood in the central and northeastern region of Los Angeles, California, built around what was then a city reservoir which gives the district its name. The “Silver” in Silver Lake is not because of the water’s color, but named for the local engineer who built the reservoir. It is known for its restaurants and clubs, and many notable people have made their homes there. The neighborhood has three public and four private schools.